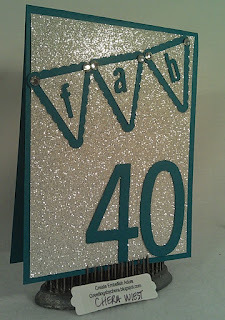 Create Embellish Adore: Fab 40! January has some BIG birthdays to celebrate. I used the glimmer paper and popped on milestone in different colors for the ladies! ... oops! 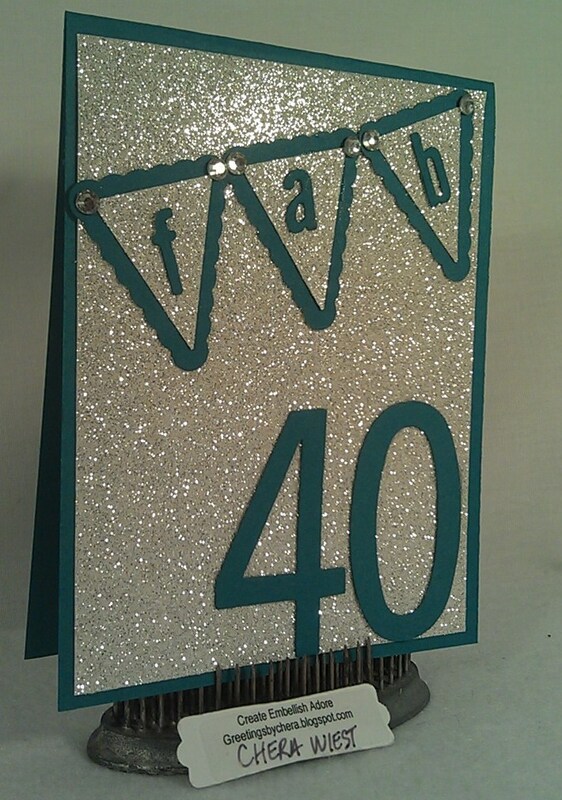 I love the little banner at the top with the rhinestones too! Just an added bonus of bling! 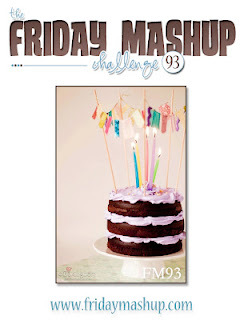 I used the Friday Mashup challenge of Birthday, didn't get brads on this project but there still is time! Love your card! It is so bright & cheery How did you cut the letters and numbers? TFS! That's a very blingy card! 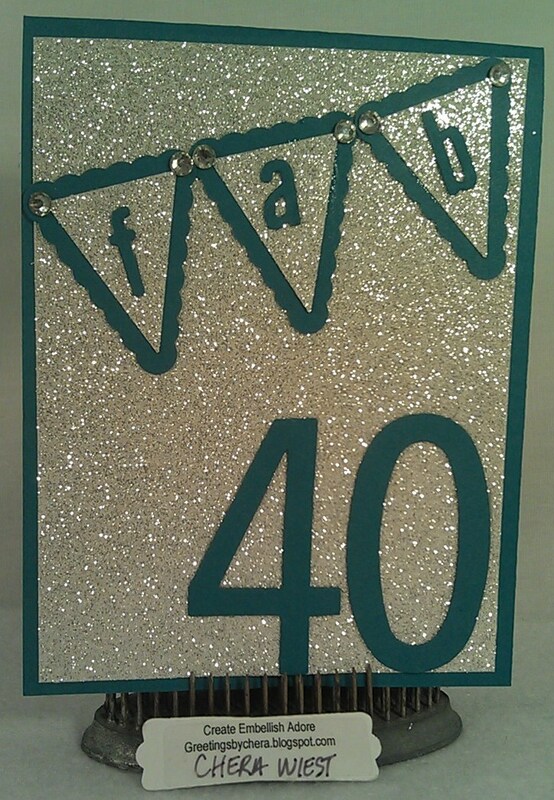 Guess the recipient won't miss the big 4-0 on her card, LOL! :) Thanks for joining the Friday Mashup this week. Such a nice card! It looks very festive with the glimmer paper. Thanks for playing along with us at The Friday Mashup this week! Hello Bling!! This is so fun.. Great idea to use the glitter paper. Thanks for joining us at the Friday Mashup.